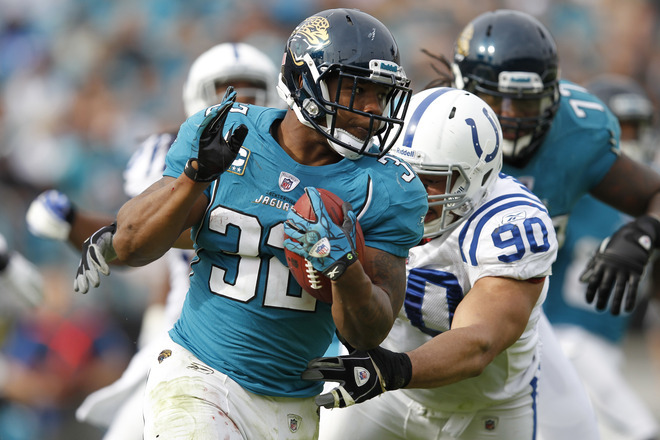 The Jaguars finally got their top running back in today, as Maurice Jones-Drew reported to the teams headquarters today to chat with coaches and some players. Even with MJD in, reports say Rashard Jennings will be the week one starter at RB vs the Vikings. Check out about Jones-Drew reporting to camp and more over at Jaguars Gab! I hope not! MJD is on my fantasy team!